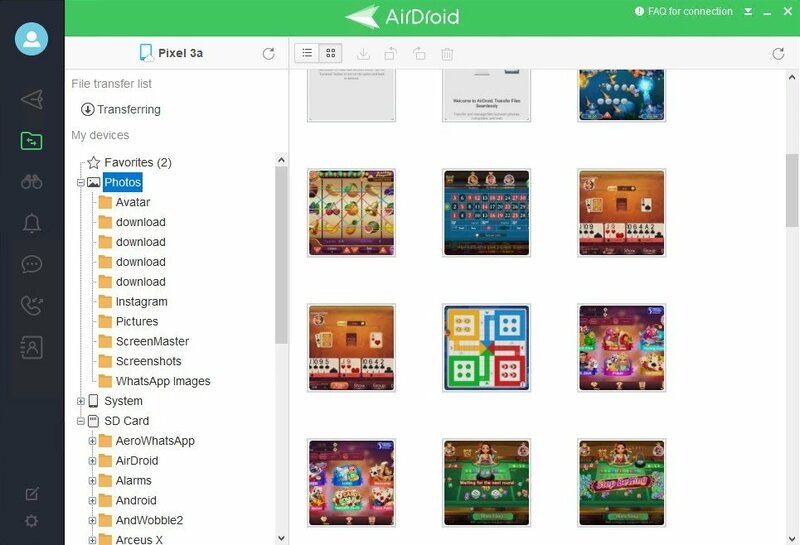 The size of smartphones or tablets can make them slightly uncomfortable when it comes to handling certain information stored on them. 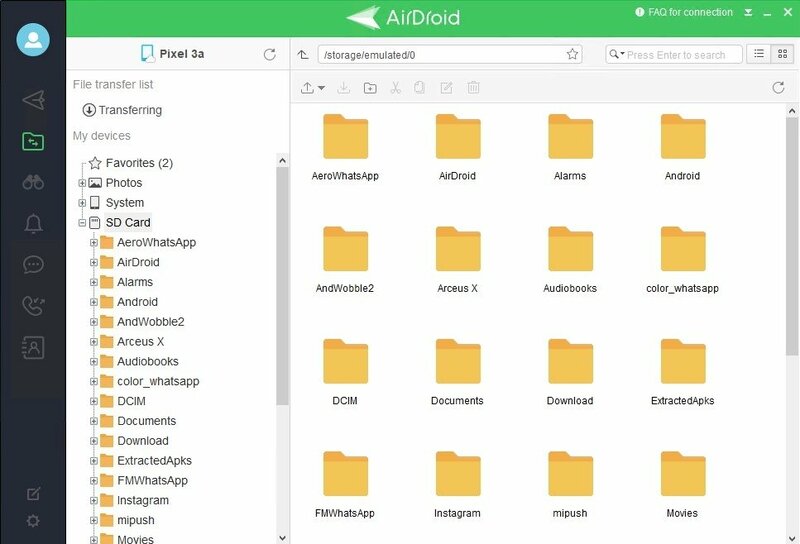 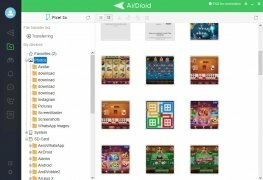 To be able to do so more comfortably and make use of different extra possibilities you can resort to programs like AirDroid that allows us to handle all our Android data from Windows. 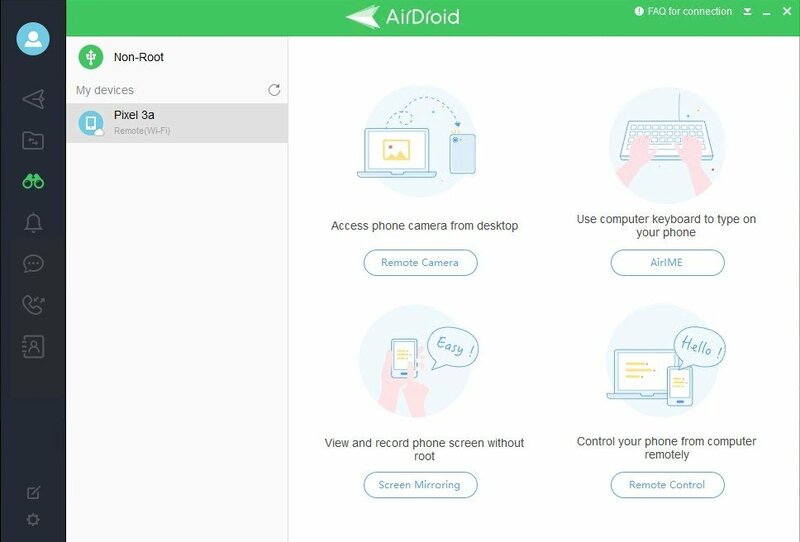 The alternative you were looking for to manage your Android phone and tablet remotely. 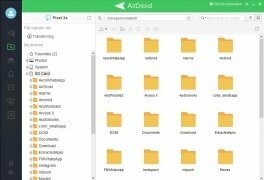 Access message and call history records. 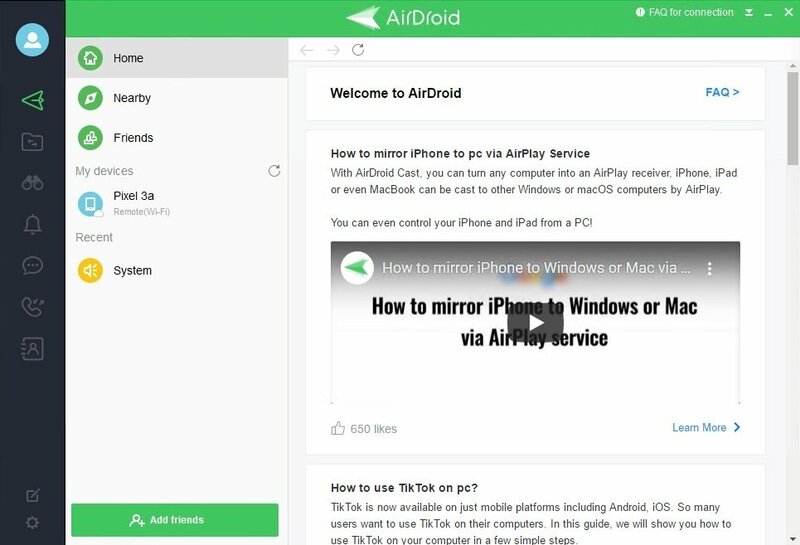 AirMirror function to project our device's screen on our computer or interact with our mouse. 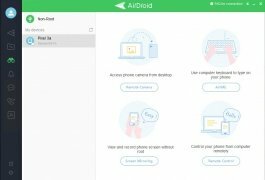 Without a doubt it's one of the most comfortable PC desktop clients to manage Android. 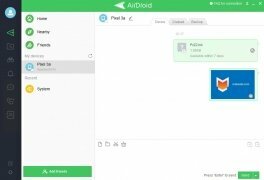 The advantage regarding the web version of AirDroid is that we don't have to rely on third-party applications like browsers, although we do recommend the purchase of the premium version due to its wider functions. 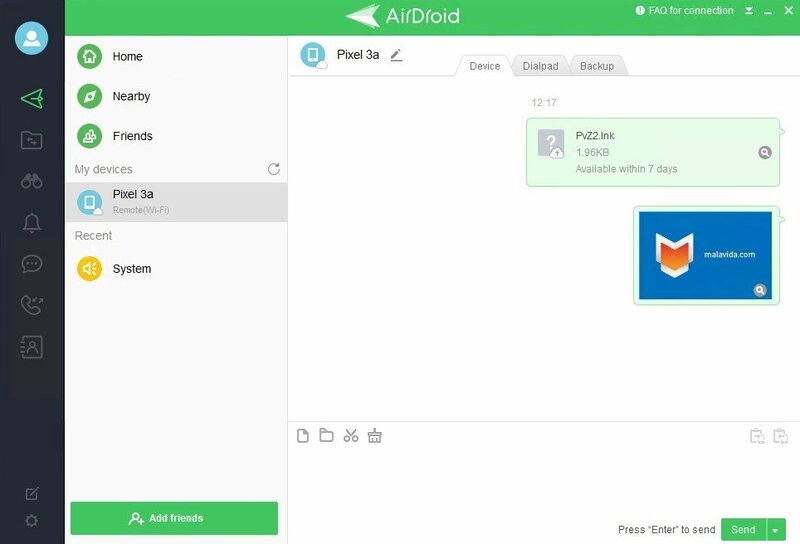 Requires AirDroid on an Android device.